The Mitzvah Project recommends certain books and web sites for you to learn from. We certainly have given you enough information to get started, however you should study and learn every day. Reading the Bible once is just not enough, it is not supposed to just sit on the shelf. If all we accomplished was to get everyone to read “The Midrash Says” series of books we would be happy. We will never be truly happy until we achieve World Peace, however these books are a must in order to understand the Written Torah. These books are available from most book stores and websites. If not ask them to check with Bnay Yakov Publications at 1742 East 7th Street Brooklyn, New York 11223. They are written by Rabbi Moshe Weissman and the phone number is (718) 376-5903. Usually you will find them in a set of five, corresponding to the Five Books of Moses. Buy one at a time if necessary, or perhaps your library or Rabbi can get them for you. They also have a series for children that is also excellent. “The Little Midrash Says” is also great for adults, and there could be no better bedtime stories for you and your kids. We cannot express how important these books are. This is awesome reading and contains tremendous explanations of the Bible. They now have some books of Midrash on the HafTorah portions as well, and they are also great. The five book set costs about $130. The next suggested reading is from the ArtScroll Mesorah series of books. ArtScroll also has an excellent series of Midrash books, and these are perhaps just as good as “The Midrash Says” series. ArtScroll is a little more detailed, however they are also excellent. ArtScroll can be reached at Mesorah Publications, Ltd. 4401 Second Avenue Brooklyn, New York 11232. Their phone number is (718) 921-9000. They also have a website of their own. We suggest you buy the Stone Edition Chumash. This is in our opinion the best book of this type you can buy. This Chumash contains the Written Torah, the corresponding HafTorahs, and the five Megillahs. The commentaries in this book include Rashi, Onkelos, and most of the other Great Rabbi’s throughout history. The ones with the blue cover cost about $50. Of course there are other wonderful Written Torahs available, however with this book you get a terrific amount of explanation. The Chumash is sometimes a bit complicated, and this is why reading the Midrash is so much easier to understand. You should have some kind of Bible of your own so you can read each portion for yourself. ArtScroll also offers a Stone Edition Tanach, which is for more advanced readers and students. These come with different colored covers, make sure to check which color you are buying. The Tanach includes the Written Torah, the Prophets, and the Writings. There are some wonderful graphs and pictures in this book as well. We suggest that before you buy the Tanach you buy a siddur, or prayer book. The ArtScroll Complete Siddur is best for most people, because it has explanations of the prayers that most people are unaware of. These prayer books contain the weekday prayers, and those for the Shabbath and the major Holidays. This is not however a prayer book specifically for the High Holidays which is known as a machzor. ArtScroll also has these, however this is a specific book and we don’t necessarily suggest buying this right away. We do not by any means suggest that you replace whatever prayer books and Chumashim you are now using. Please add to your library as many Jewish books as you can. These suggested books are so great that without them you simply cannot learn the real meaning of Judaism unless you have or are now in a yeshiva. A siddur costs about $30. We prefer the Ashkenazic version of the siddur known as Siddur Kol Yaakov. You may prefer the Sephardic version, and there is very little difference between the two. Congregation B’nai HaShem is an Ashkephardic synagogue for those of you who care. Inside these siddurs is The Pirke Avot or Wisdom of the Fathers. This is also known as the Pirkei Avos or Ethics of the Fathers. ArtScroll also sells separate books of this by themselves. This collection of sayings from the Great Rabbi’s is also wonderful, and we can’t say enough about it. The Pirke Avot will teach you about Hillel and Shammai, as well as the Sages who lived in those days like Rabbi Akiva and Judah the Prince. Don’t miss reading these tidbits of information. This is generally studied on Shabbos after the Mincha prayers in the afternoon. These contain the stories about “Standing on one foot” and “If not now when?”. If you are interested in reading the Mishnah Torah by Rambam, the best version we have found is by Rabbi Eliyahu Touger. You will find the series of books from the Moznaim Publishing Corporation 4304 12th Avenue Brooklyn, New York 11219. The telephone number is (718) 438-7680. The book that the section regarding The Messianic Age is taken from is entitled “Mishneh Torah – Hilchot Melachim U’Milchamoteihem, The Laws of Kings and Their Wars”. This volume is the last of a series of about 12 books. It is worth reading this for yourselves, as the last two chapters discuss the qualifications for the Messianic King. The whole thing is only about 30 pages long, however we have explained the highlights in our section of The Mitzvah Project. If you are curious as to how HaShem created the Universe you should buy a book called “Sefer Yetzirah – The Book of Creation”. The one we suggest is translated by Aryeh Kaplan and is available from Samuel Weiser, Inc. Box 612 York Beach, Maine 03910. There are other ones available as well, however we like this one. The Sefer Yetzirah is not for beginners, however it is not too difficult to read. This is the Kabbalah in its earliest form, and while most people credit this work to Abraham or Shem the son of Noah, it is generally acknowledged that this wisdom was first given to Adam and Eve. God originally created the Aleph-Bet (Hebrew Alphabet), and then used these letters to form the various worlds. It is explained that through ten emanations of HaShem’s speech he caused everything to come into existence. At a later date The Mitzvah Project will have a section on Kabbalah. Another excellent book on Kaballah is “Derech HaShem” also known as “The Way of God”, by Rabbi Moshe Chaim Luzzato. This book is also translated by Aryeh Kaplan and is available from Feldheim Publishers Ltd. You may have to ask your bookstore to check with Philipp Feldheim Inc. 200 Airport Executive Park Spring Valley, New York 10977. We suggest you see if you can get this from the library, as this book is very difficult reading. In order to understand this book you will have to read each sentence at least twice. The good part is that at the end of the book there are short one or two page essays that explain each chapter. These essays are very easy to read, and they capture much of what the book has to offer. It is definitely worth reading these short essays. One of the best books on Kabbalah is “The Bahir” also from Samuel Weiser, Inc. This is also translated by Rabbi Aryeh Kaplan. The chapters are a little repetitive, however the commentary in Part Two is excellent. There are many graphs and diagrams that are wonderful and easy to understand. This book is also highly recommended. There are a few web sites that we also recommend for you to check out. The first one is Aish HaTorah at http://www.aish.com. This stands for “The Fire of the Torah”, and is excellent. See if you can receive the Shabbat Shalom Fax from Rabbi Kalman Packouz. They also accept donations at: Aish Friends of the Fax 3414 Prairie Avenue Miami Beach, FL 33140. His telephone number is (305) 535-2474, and his fax number is (305) 531-9334. Aish HaTorah has a large yeshiva overlooking the Western Wall in the Old City of Jerusalem, and they cater to Americans who speak English. They give what they call The Discovery Seminars in most cities in the United States. They may give them in other countries as well. The Discovery Seminars are excellent, and are usually sponsored by large synagogues or by The UJA/Jewish Federation. These one day seminars give a very thorough explanation of the Torah. Especially interesting are the sections about the Bible Codes you may of heard about. These Bible Codes are not something that the entire Jewish community puts a lot of emphasis on, however they are extremely interesting and factual. 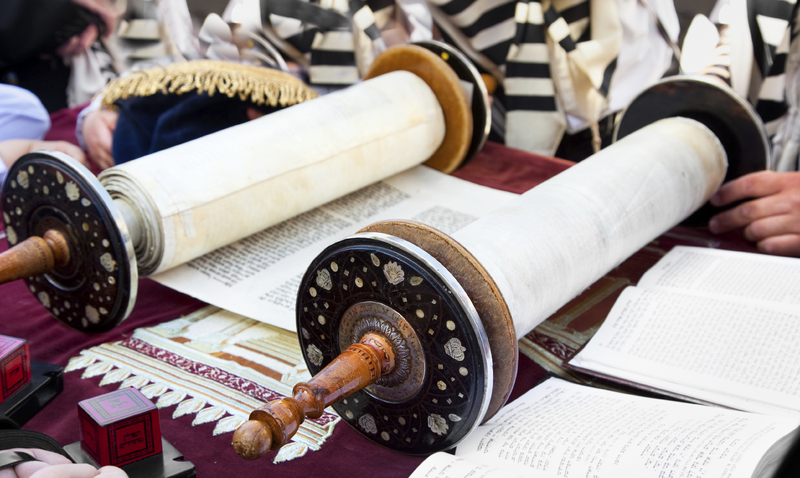 It is amazing that historical events that happened many centuries after the Torah was written can be found in the letters of the Five Books of Moses. See for yourself, as the Discovery Seminars are great. This is not a substitute for reading the Bible and the Midrash for yourselves, however they do a wonderful job. For information regarding the biblical blue thread known as techeiles, contact P’til Tekhelet at www.tekhelet.com. Their address is P.O.B. 50234 Jerusalem, Israel 91502 or 1287 E. 19th Street Brooklyn, NY 11230. The Israel telephone number is 011-972-2-993-2136, and in the US it is toll free 1-877-446-0656. While some people don’t believe that this is the real thing, we have been to the laboratory in Israel and will attest that this is techeiles from the chilazon. The chilazon is a small salt water snail that is actually a miniature conch shell. The species Murex Trunculus, and the process of obtaining the blue dye from it was lost for over 1300 years. The dye is used to color the threads of the tassels or tzitzis worn on a tallis or prayer shawl by Jewish men. We suggest you check this out for yourselves, as there is much controversy about whether this is the real thing or not. This is a relatively recent discovery and Rabbi Eliyahu Tauger and many of us are convinced this is the right stuff. See the section regarding the Shema where it mentions techeiles. You may enjoy The Azamra Institute web site at www.Azamra.org and The Temple Institute web site at www.templeinstitute.org. Please buy and read Avraham Greenbaum’s wonderful translation of “Miskney Elyon” (Dwellings of the Supreme) by Rabbi Moshe Chaim Luzzatto (The RamChal). The book is called “Secrets of the Future Temple” and it is very informative and interesting. Please investigate these books and web sites for yourself. The Mitzvah Project encourages you to check out everything you hear or see carefully. We have done our best to bring you accurate and true information. You should see for yourselves so that you are satisfied that you also did your best to find the correct answers. We thank you for joining us in our search for truth and our quest for World Peace. Stay tuned for new developments, and remember to always do your best. May God continue to bless you and keep you and yours always, now and forever.